called 288P, as the first known binary asteroid also classified as a comet. Astronomers recently spotted two space rocks behaving strangely. As the asteroids orbited each other, both of them appeared to be shedding material just like a comet does — observations revealed a coma around the objects as well as a long tail of material. 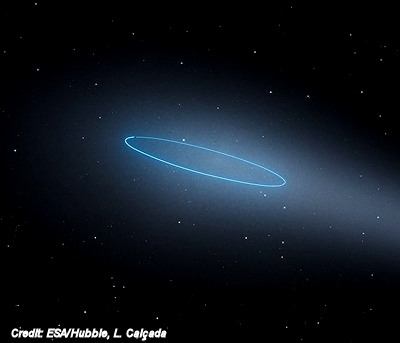 The group have identified this weird system, called 288P, as “the first known binary asteroid also classified as a comet.” There are a few select examples of single asteroids shedding water and dust and leaving behind a comet-like tail, but it’s the first time two of these objects were seen orbiting each other.